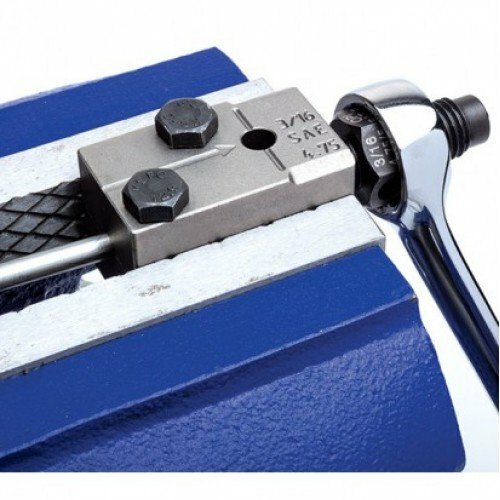 This is a compact and easy to use 3/16 tubing flaring tool that can be used in the tightest of areas to repair a brake line. The handle can be removed and the head of the tool can be mounted in a bench vise so you can make several flares with ease. This tool makes 3/16" SAE Double Flares. Not recommended for use on stainless.